Colorful, flavorful, healthy and easy what more can I say. 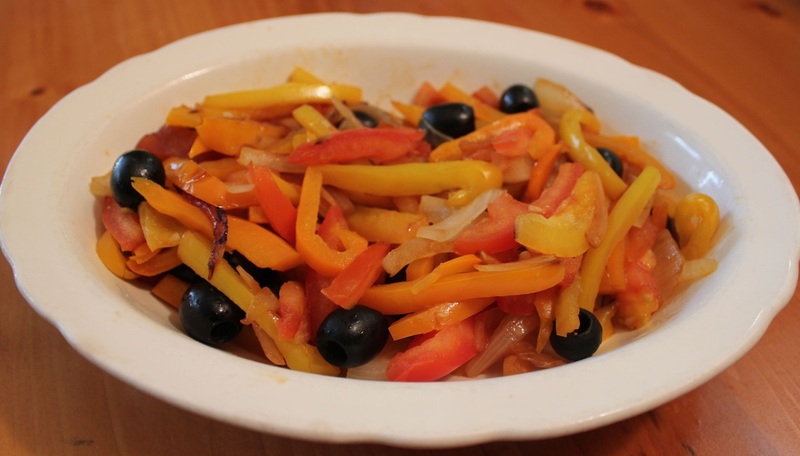 This vegetable side dish is a wonderful addition to any meal. Cook onion until tender, stirring often. Add peppers, stirring well. Cover and cook for 10 minutes. Add tomatoes and olives heating until warm.